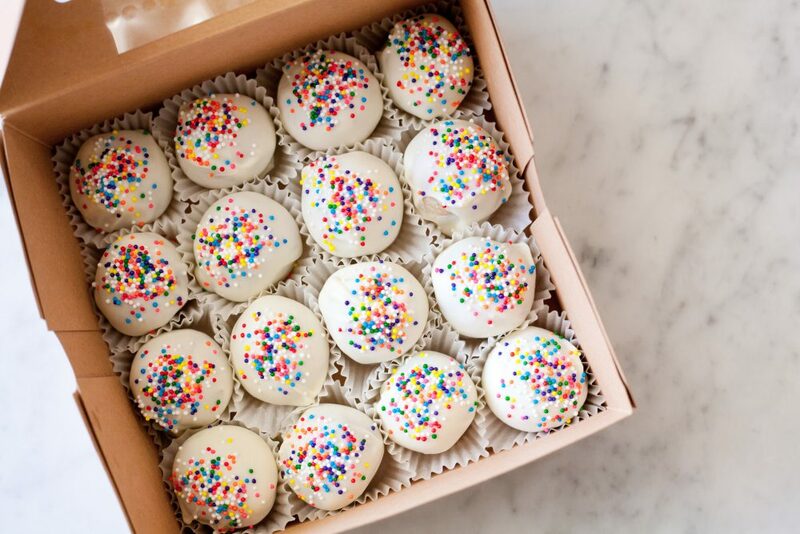 These Funfetti truffles are another version of my original recipe of my Red Velvet Cake Truffles. To check out my red velvet recipe, click here. Cake and chocolate are two amazing things. The marriage between both is a god-given treat to humanity. 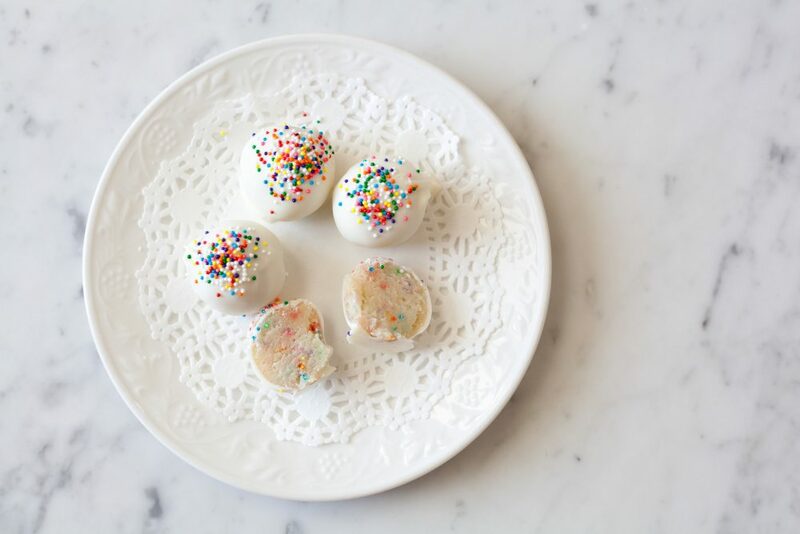 These cake truffles unite both of these treats into one delicious bite. The best part: they cost less than $10 to make! 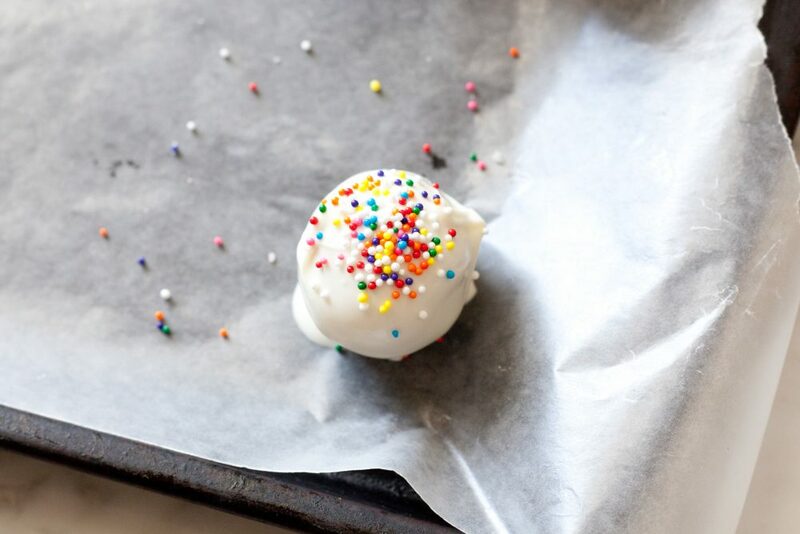 Cake truffles make great gifts for birthdays, Christmas and Valentine’s Day, so this recipes can be used all throughout the year. 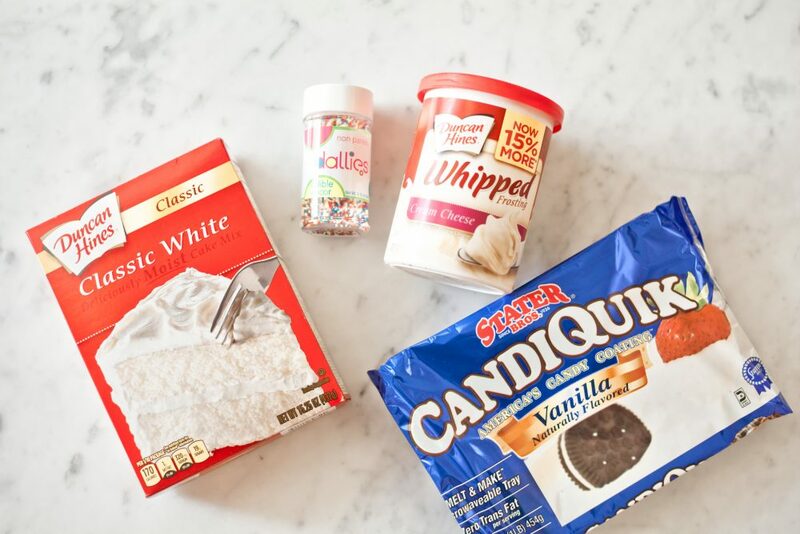 Cookies & Cream: Vanilla cake mix, white chocolate candy melts, Oreo cookies. 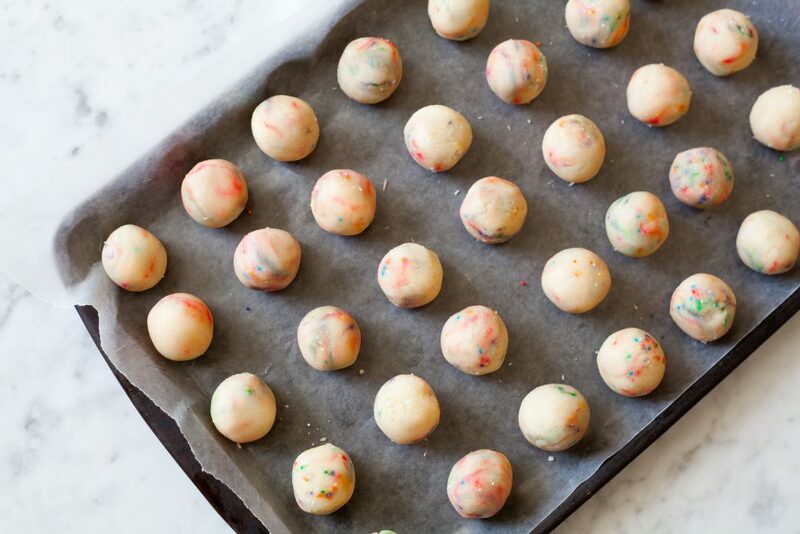 With this variation, you would dip the cake balls into the white chocolate and top with roughly-crushed Oreo cookies. 2.Let cake cool. 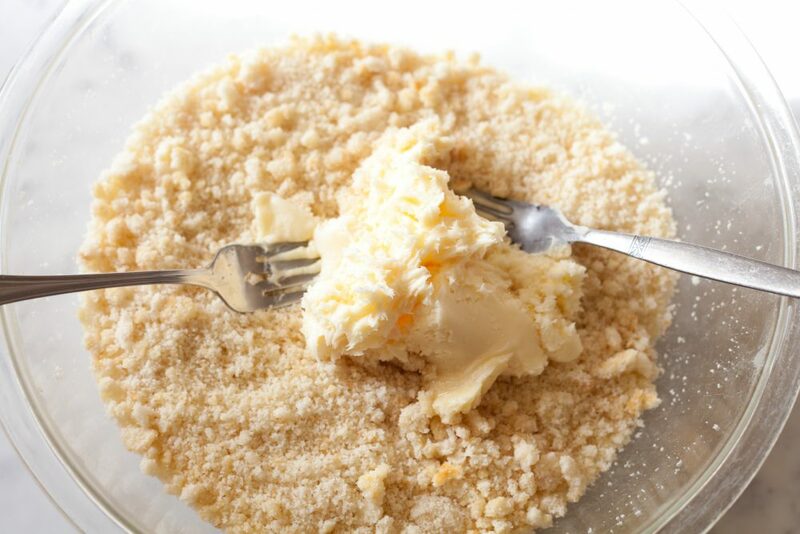 After it is cooled, use a fork and crumble the cake up until the crumbs are fine, fluffing it to ensure the edges are crumbled. If the edges are too crisp, cut those pieces out. 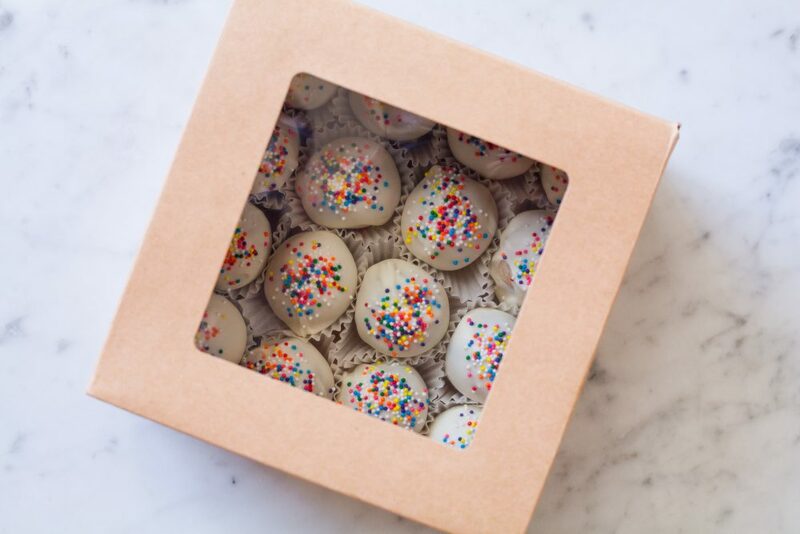 You’ll be rolling the cake crumbs into a dough, so any crispy pieces will definitely be discovered when someone eats your truffles! 5. 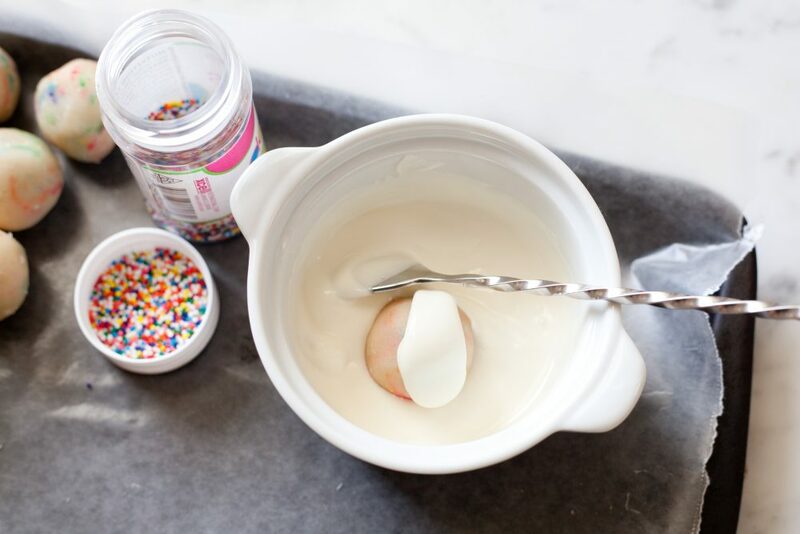 Roll the mixture into 1-inch balls, incorporating the rainbow sprinkles. 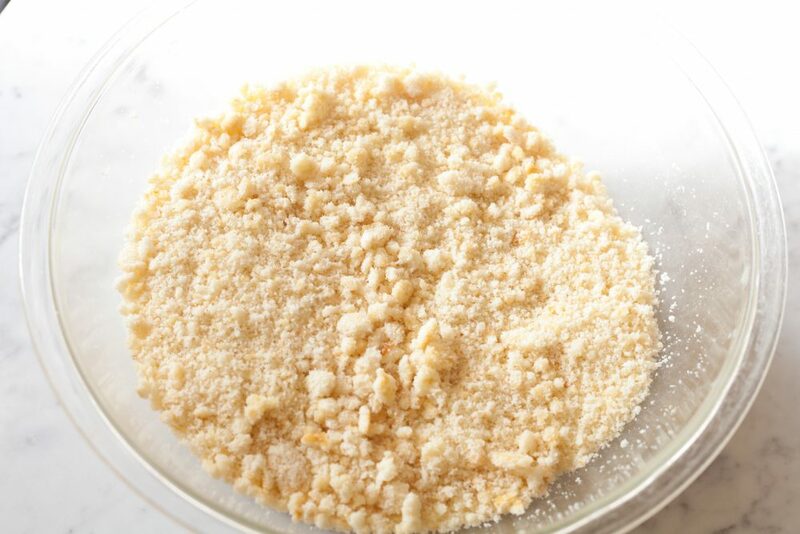 To keep the balls from breaking, I flatten and fold them until the crumb mixture turns into a dough – that’s when I know the mixture is firm enough to hold. I don’t like baking the sprinkles into the cake mix the way packaged Funfetti cake is made, because once you roll the cake with the frosting, the colors will combine and turn murky and gray. Adding the sprinkles in after baking makes a nice rainbow swirl. 7. When the balls are ready, break off about 3 squares of the chocolate melts and heat them in a microwaveable bowl in 30-second intervals, stirring between each. 8. Using a spoon, dip and roll the balls gently in the chocolate, in circular, swooping rotations. This ensures an even swirling design around the ball and prevents the truffle from looking like a wad of poop. Add more chocolate and melt in intervals as you continue on – this also helps the chocolate from cooling down and hardening. 9. Set the balls on the parchment paper, and sprinkle with topping of choice. 10. 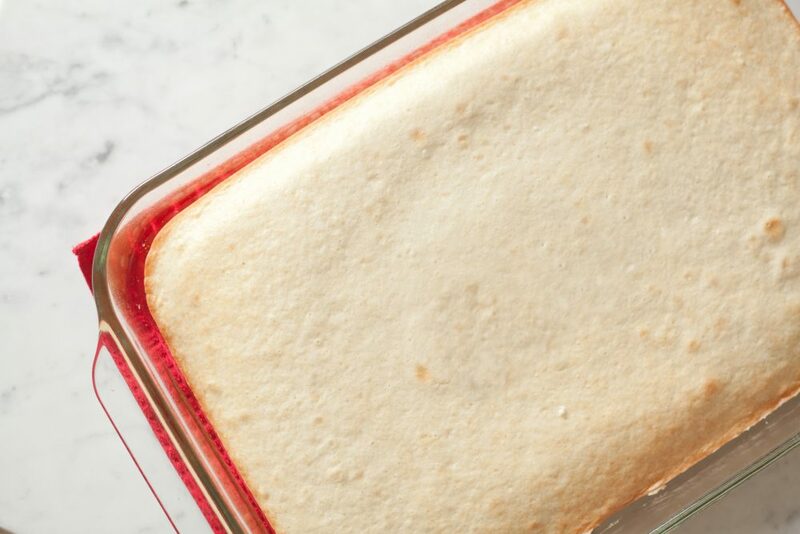 Refrigerate again until candy melts are set. Package and gift away!